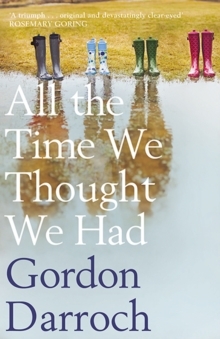 How do you start a new life when the person you love is about to die?At the age of thirty-six, Gordon Darroch's wife was diagnosed with breast cancer. It was a devastating blow just as he, and their two children with autism, were preparing to move to her native Holland. Eighteen months later, as their plans seemed to be back on course, came the second blow: Magteld was terminally ill and possibly had only a few months to live. As her health rapidly deteriorated, they became caught up in a race against time to get a dying mother home and give their children a future in a country they hardly knew. How could they build a new life in the midst of grief and loss? How would their two sons adjust to such enormous changes? And what would remain of Magteld once she was gone?All the Time We Thought We Had is a story of love and loss and a meditation on grief and memory. It's about how events shape our lives and how we cope with them. And it raises important questions about what we value in life and the legacies we leave behind.